How to create the new database for 1718 ? Run SharePro Administrator Software [SHADMIN] and open configuration setup. 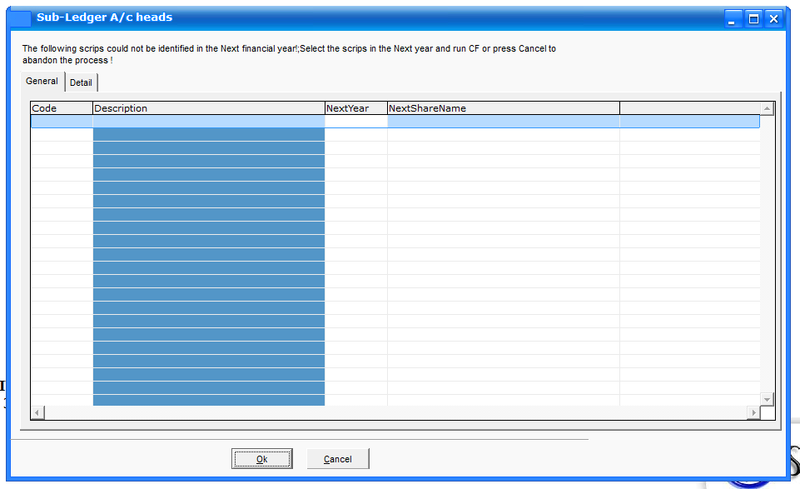 Expand the 1st company and select the last accounting Year in the list as shown in the image below. In this image the last year shown is 2014-2015 in your system it should be 2016-2017. 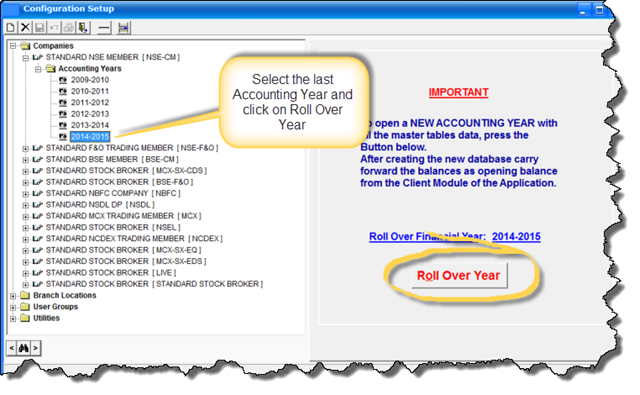 Now Click on the “Roll Over Year” button to start the process…. The database needs to be created only once. You can do it from any one of the Companies. At this point, the system prompts you for New DB Location. By default , it will contain the location of the last year’s database, you don’t need to change the location. The Admin software may take a few minutes to create the New Database and migrated all the masters to the next financial year. Have patience and allow the routine to complete the process. Now close and start Admin again and ‘force’ upgrade the database. 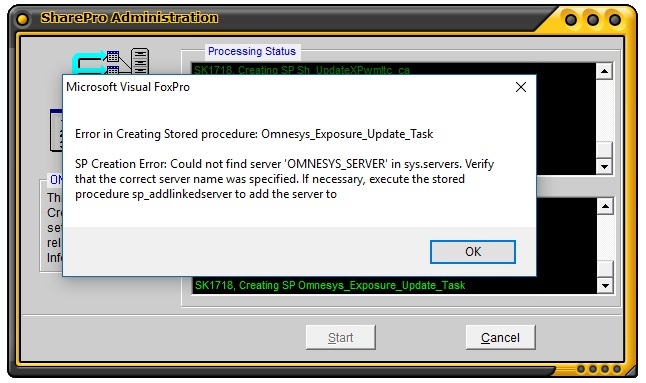 In case of any errors rerun the Admin upgrade (a sample error is shown below). Once completed, your new Database for 2017-2018 is now ready for use. Another error we found was related to access rights for shadmin.mem. Happens on a system (usually the server) which is running SHADMIN for the first time. For this error please give the folder C:\Program Files (86)\shrdbms “Full Rights” to “Everyone” and re-run SHADMIN. 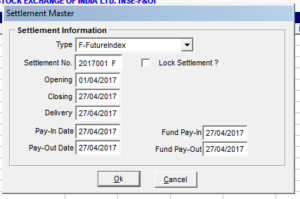 Now log into SharePro Client and import the settlement files in the equity segments and create at least one settlement in 2017-2018 for every F&O / Derivative market segment to enable carry forwards of open positions and exposure upload on 3rd morning. Return to previous year 16-17 for the various Carry Forward processes. Please add the new financial year database in the SQL Server Maintenance Plan so that backups of the new database is taken automatically. Whenever you do an Admin upgrade in future, try to upgrade the previous year database, else users going to the previous year sometimes get locked out due to version mismatch errors . How to Carry Over Closings to the next year? However, before you actually start working in the new financial year, you need to Carry Forward Ledger balances, Un-reconciled Bank Entries, Demat Positions, etc., to the new financial year. 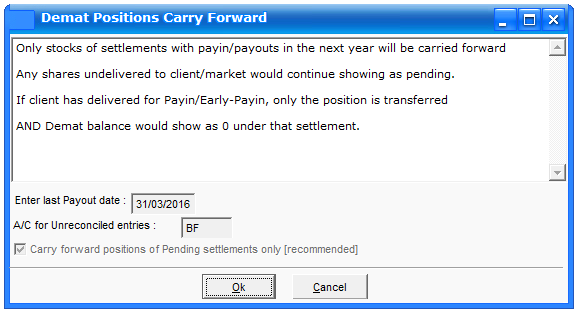 Change to the Derivative Settlements for the Carry Forward of Initial Margins and Closing Rates. This process is explained in details below. This process is shown separately because these are run repeatedly as and when required [for instance, if the Ledger Balances of 2016-2017 change later on]. At various points you may encounter this Sub-Ledger A/c Heads window. This is actually a “Sub-Ledger of old Year not found in the New Year” window. In the above case there is No missing Sub-Ledgers in 17-18 so you can click Ok and continue. 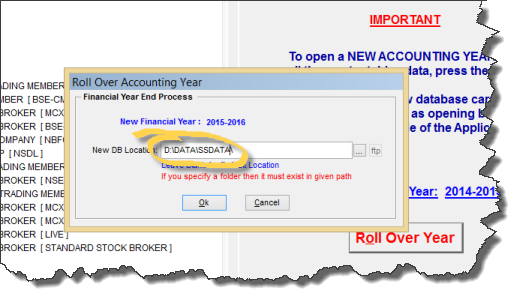 Later during the year, if the Items 4 & 5 in the List of Donts (at the end of the post) are not followed this window will show up the missing Sub-Ledgers and you will have to manually select the corresponding Sub-Ledger every-time you carry forward. The process of carrying forward of balance is simple and intuitive. Just click on the [Start Carry Forward] button in the window as shown below. Note that this process may have to be run again and again for some time till your finalization of Accounts of 2016-17 is complete. 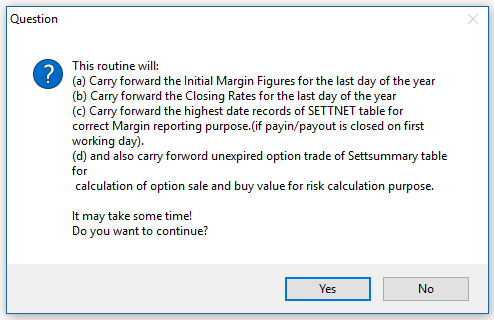 Click on [Year End Processing | Carry Forward Demat Positions] and click on ok. This is a crucial part of the Carry forward process and once this option is run you should stop working on the Demat Section in the previous financial year. 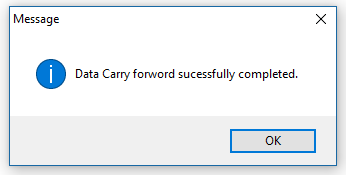 When you encounter either of the following windows please click Carry Forward to continue. 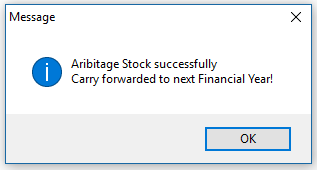 If you are maintaining arbitrageurs accounting in the software then you have to [Carry Forward Arbitrage Positions]. It directly runs the routine and displays the results. 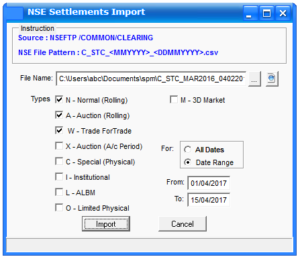 Historical Data – To carry forward details of when the Client traded last,etc. this is required to enforce your organization’s dormant account policy, etc. Ageing Data – To update the Debtor’s Ageing Analysis and to satisfy compliance with respect to T+5 debits in the next financial year. It directly runs the routine and displays the results. Prepaid Brokerage – To carry forward the details of Prepaid brokerages refunded to clients. However, if you do not have a system of Prepaid brokerages, ignore this option. It directly runs the routine and displays the results. Running Account Settled Status : To carry forward the details of the last date of Primary and Secondary settlements, etc., to the next financial year. The routine is extremely crucial for proper handling of the Running A/C 90-day rule in the next financial year. It directly runs the routine and displays the results. 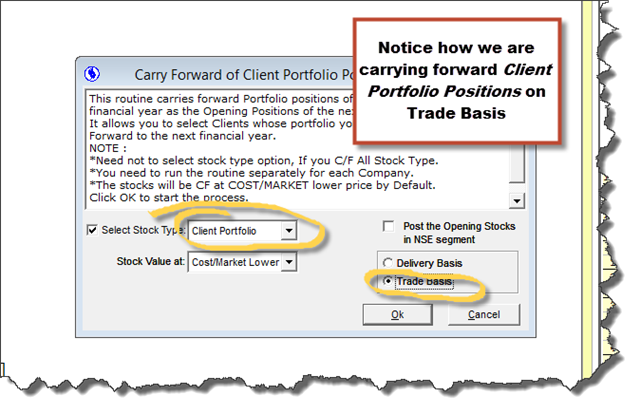 Carry Forward Initial Margin/Closing Rates : To carry forward Initial Margins and Closing Rates if you have Derivative segments. This needs to be run only once even if you have multiple derivative segments. 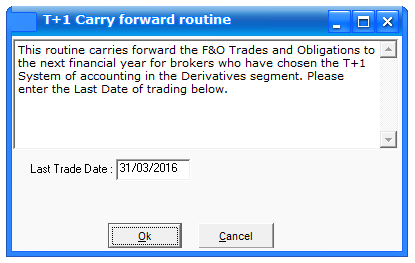 T+1 Carry Forward Routine : Only for brokers who post accounting entries on T+1 in Derivative segments. 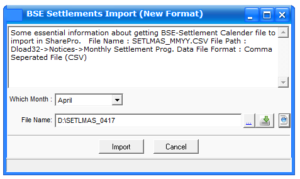 This menu item shows up only if you post Derivatives segments on T+1 date (easier to match settlement accounts) . Carry Forward DP Accounting Balances : If you have a DP then Carry Forward Accounting Balances is required to be done from any of the DP segments if you have more than one. Carry Forward DP BRS : Carry Forward BRS is also required and again from any one of the DP segments if you have more than one. BSE StAR & NSE MFSS members please contact our support centre as carry forward of the settlements and settlement positions need to be done by Stansoft personnel. 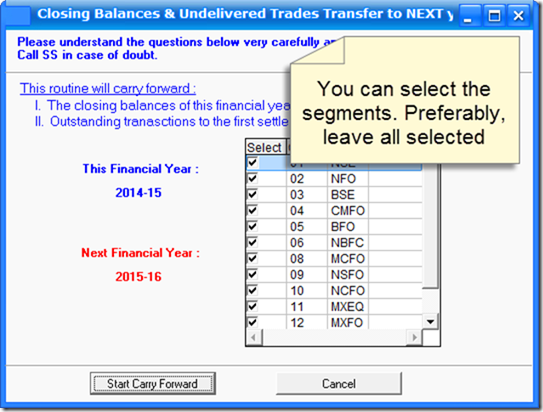 You need to run one special Carry Forward option which is available only in the F& O and Commodity Segments. To do this, switch to the F& O Segment in the financial year 2017-2018 and open a new settlement in the new year. 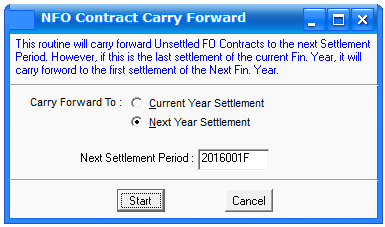 Now switch back to 2016-2017 and go to [Maintenance | Carry forwards | Carry forwards of contracts] and click on [Next year settlement]. Now type the settlement number that you created earlier in the step in the new financial year. Click Start. You need to repeat the process in each of the F&O, Currency and Commodity segments. 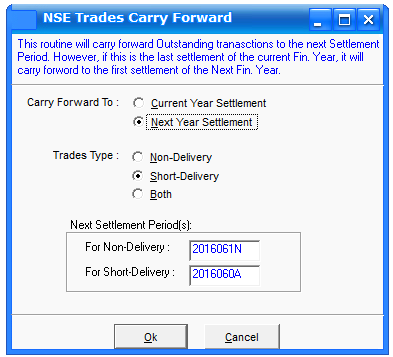 In the Equity segments [Maintenance | Carry forwards | Carry Forward Trades] when you carry forward “Short Delivery” of settlements 1617248W, 1617248Z, 2017060N & 2017060W one-by-one make sure you select Next Year Settlement. Dos and Donts after the 'Rollover process' is over. Do NOT create any new delivery instruction in 16-17. From now on, work only in 17-18 as far as Demat Operations are concerned. Do NOT receive or release shares in the Margin A/Cs in the previous year 16-17. All margin movements must be affected in 17-18. Do NOT open any new clients in 16-17. Just to be sure you don’t make that mistake, SharePro pops up a warning if you try to create a new client in the previous financial year. If you open any new Accounting Head in 16-17, open it in 17-18 as well. Make sure that you allot the same Accounting Code and Name in both years. If you are doing a Global Scrip Merge in 16-17, also merge those scrips in 17-18. Make sure the same scrip is removed in both years. ← When to Run the Rollover Process ?